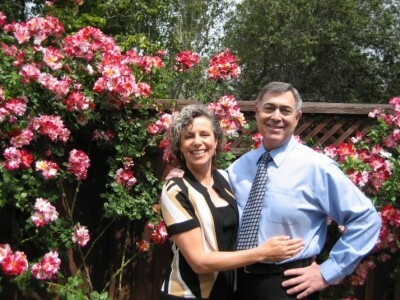 A recent photo of my wife Heather and me in the front yard of our Sunnyvale home. Flying in to Oshkosh, 2008. Customizing a Canopy Cover pattern for a Waco, Folding intake plugs for a Boeing 787, and custom GSE covers for ground service crews are some of the diverse jobs that we work on here at Bruce’s. We offer such a wide variety of products; there is no telling what will come across our desks. At our company we're all about cover design, both maintaining the nearly 15,000 products that we've already developed, and creating new ones almost every day. I know it's hard to believe that so many products could be available just to cover and protect airplanes, but it's true. The amazing thing to me though, is that we're still coming up with new designs to satisfy our customers' requirements worldwide. Our company has moved to a beautiful facility in my hometown of Morgan Hill and we are busier than ever before. Come on in, take the virtual tour, meet some of the team, and see what makes our little factory hum. Our doors are always open and we hope you like what you see as much as we do. 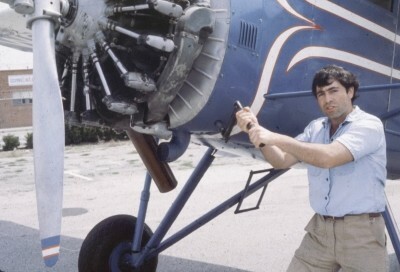 A more recent photo: Me and Mom's old plane. 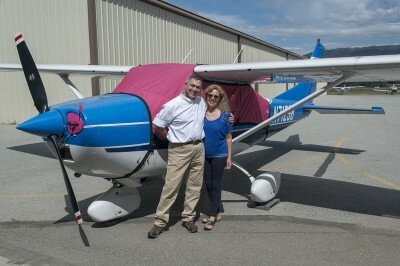 Finished installing a pink cover on a beautiful Lancair. My background is in manufacturing and flying. A long time ago my dad Irv manufactured travel trailers, and he used a series of company planes to get around to his plants, dealers and customers. My mom Jan learned to fly at that time, and eventually bought a brand new Cessna 182 in 1968. Later Dad collected antique airplanes, and that's about the time I decided to learn how to fly. 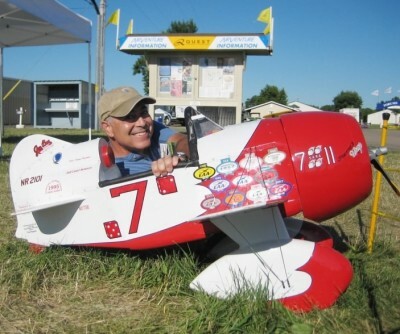 I was 18, had a brand new pilot's license, and began building time in a number of antique and homebuilt airplanes. I started my business in late 1979, in a garage in Palo Alto, California. I was 26. At first I worked alone, developing patterns and making covers for the thousands of small planes at San Francisco Bay Area airports. My little company was busy all the time, so it soon outgrew the garage. Then it outgrew the 2nd floor walkup. Then it outgrew the five classrooms in the converted elementary school. After growing some more we ended up in Morgan Hill, California in a brand new building that we customized just for our production. I would say that my company has matured nicely, and is operating in the prime of its life. We work in several teams led by highly experienced individuals. Together we are always striving to improve our processes and products. Believe it or not, we're constantly talking about you: The Customer. In the early ‘80‘s Bruce and I were young and happily running our little canvas shop in what was becoming the computer capital of the world: Silicon Valley. Our shop was in an old elementary school that had been turned into small units for manufacturing. One hot and gorgeous summer day at the school yard, I was walking by our little truck and thought: “You know what? That mylar fabric would be great for putting inside the windshield of the truck while it’s parked! It would be like those cardboard ones, but we could pattern these to fit the windshield exactly!” The Heatshield was born! I went out to introduce them to the world for the first time and picked a local dealership. The manager saw its potential right away and blew me away by ordering 20 cases! I almost fell over trying to hold my composure. I went back to the shop in a state of excitement and fear. Now we had to produce them! Some 30+ years later, we are still going strong. We have over a thousand patterns for cars from around the world. Our mission is to make the best aircraft covers; it’s as simple as that. This means, to advance the science and art of cover design in service to the demands and expectations of our customers worldwide. We do this by constantly developing new patterns, adding value with new products and improving the old ones. 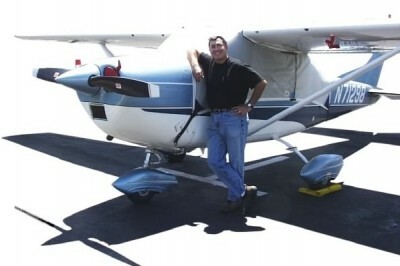 At Bruce’s we strive to have the most comprehensive list of aircraft covers on the market. 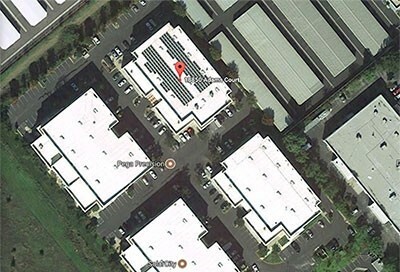 A view of the Solar Panels on our roof from Google Maps. Bruce's Custom Covers Strives to be Environmentally Friendly! We will continue to make improvements and add to our list.